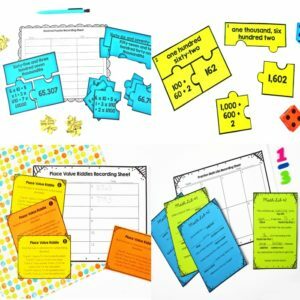 One of my favorite ways to review is with a whole class activity called Scoot. 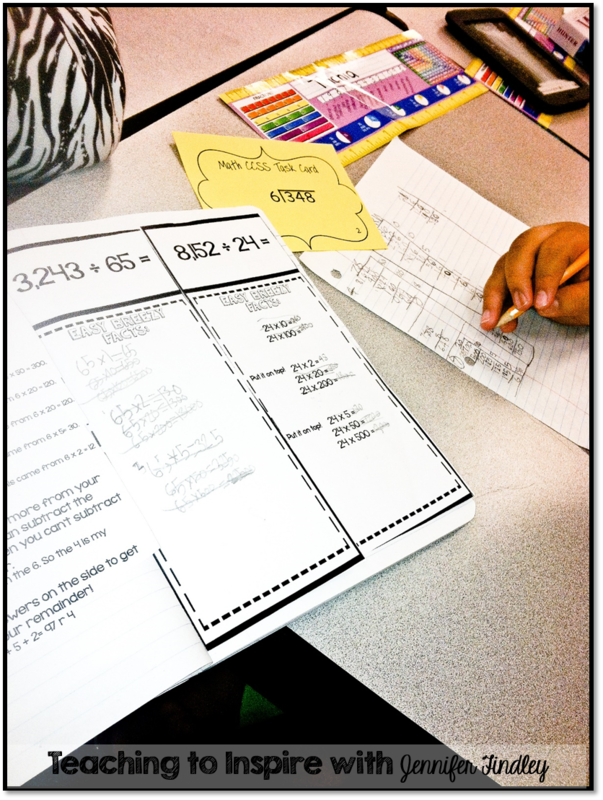 To read about another one of my favorite ways to review math, click here. Basically, Scoot is an activity that requires the students to “scoot” from desk to desk answering questions at each desk. All you do is place a task card at each desk. 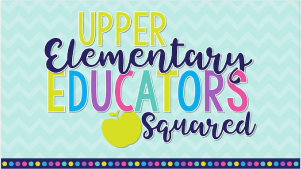 The students will need a recording sheet or piece of notebook paper. At your signal, each student scoots to the next desk. Depending on the task, each student has 1-3 minutes to solve the problem before calling for the class to scoot. 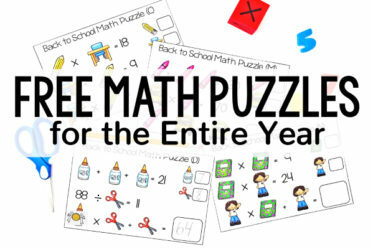 When my class plays this, they would gladly”scoot” for the entire math block if I let them, solving problem after problem. To them, it is a challenge: Can I solve the problem before time to scoot? Can I get all the way around the room? They love it! And the physical moving up and down really helps their engagement. 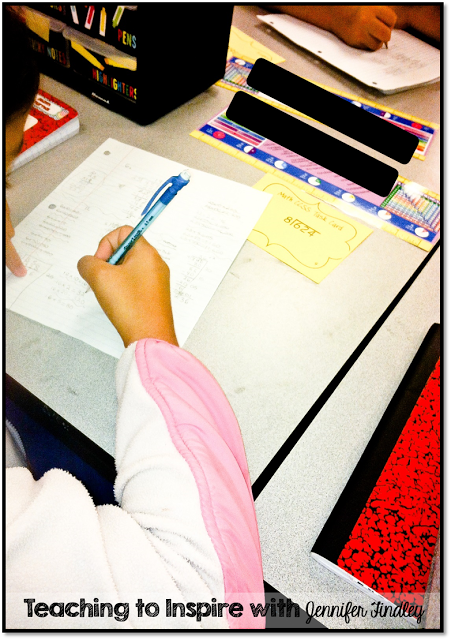 When we play Scoot, I require my students to bring their math notebooks with them. Some use them and some don’t, but they are there if needed. 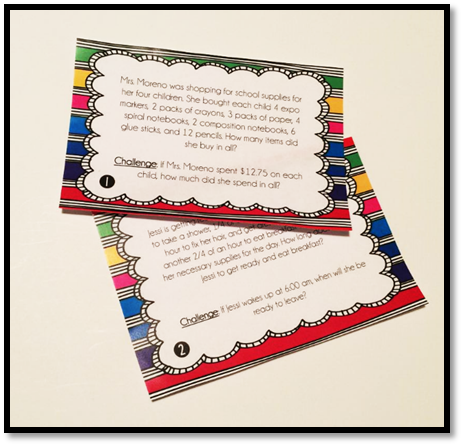 Click here to grab the free foldables shown in this image. So, how do I use this to assess? Do I gather all the students’ papers and try to make sense of their work? NO WAY! I use my anecdotal notes to help me assess. I use labels on a clipboard. Each student has their own label. When the label is full, I can simply peel it of and stick it on a white piece of paper for my data notebook. Each student has their own piece of paper. 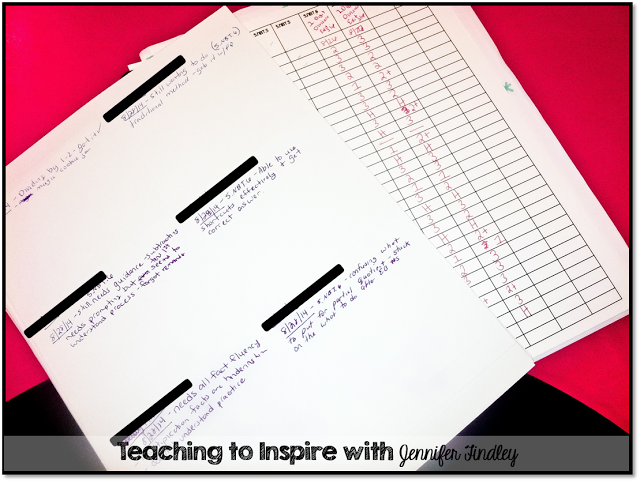 By the end of the year, the papers are full of labels with notes on each student’s progress. While the students are scooting, I move around with my clipboard and grade book. 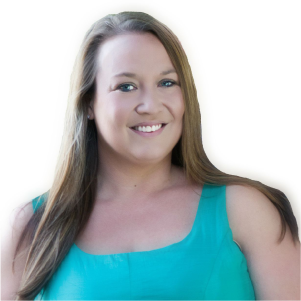 Click here to grab the grade book I use for free. Some students I follow around for two scoots or come back to them to make sure they have mastered two problems before assessing them. This depends on the student. Any student who is showing mastery, I score in the grade book without taking notes on them. 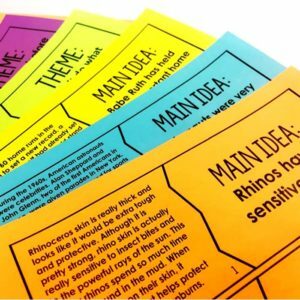 If the student is struggling, I assist them and jot down notes on my labels. 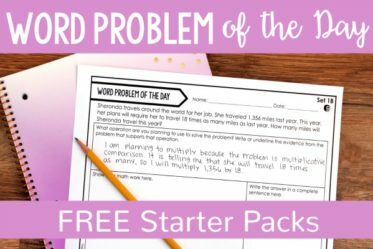 This way I can keep a record of what they were struggling with and I can pull a small group to assist during my math groups. 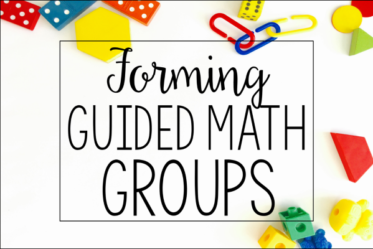 Read about my math groups here. I definitely go back to that student 1-2 more times to see how they are progressing before putting their score in my grade book. This “score” serves as an informal formative assessment before we take our standards based assessment. 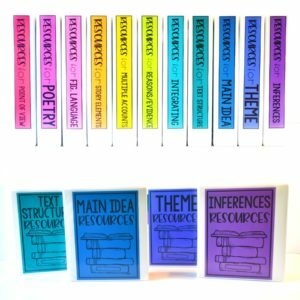 If you are wanting to try Scoot out with your students, I LOVE this FREE resource from Head over Heels for Teaching. 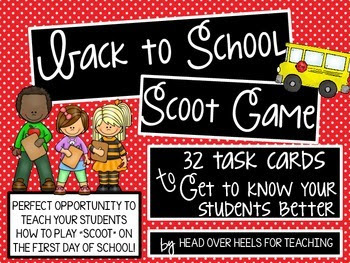 It includes 32 task cards to help you get to know your students and teach them how to play Scoot. Click on the image to grab it from her TpT store. 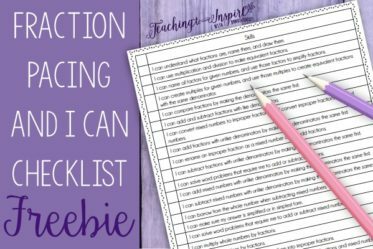 If you need other task cards, click here or on the image below to see the task cards I offer in my TeachersPayTeachers store. 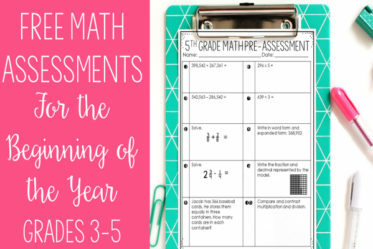 If you need formative assessments, click on the grade level links or on the image to check out my one pack quick assessments for 4th grade and 5th grade. 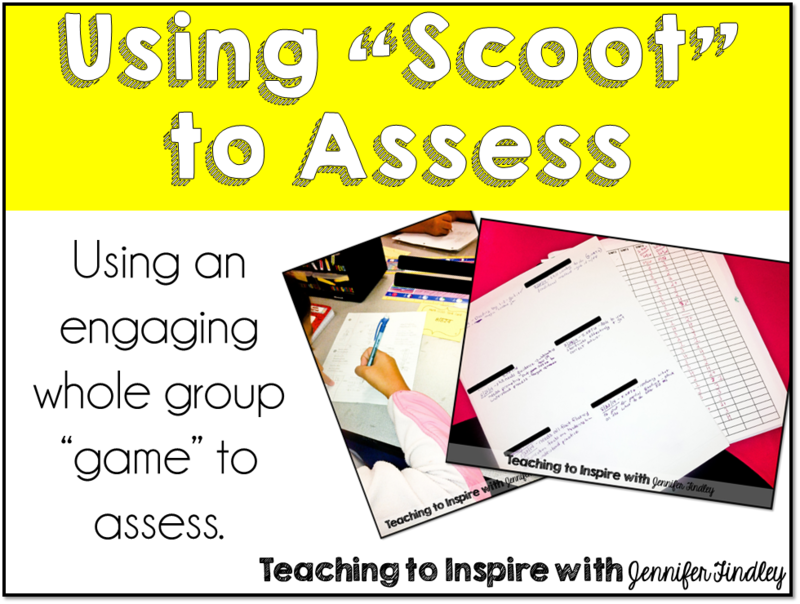 Do you use “Scoot” as an activity in your room? Jennifer, I absolutely LOVE having my students play Scoot, and especially during math. However, your idea for doing anecdotal observations and collecting data is great! Thanks for the inspiration! You are so welcome! I love doing SCOOT for this very reason. It gives me great data on my students. 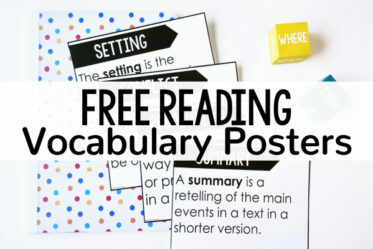 Have used this for different subjects in place of a written quiz…especially good for vocabulary…and the kids love it! They really do love it, don’t they? Thanks for stopping by! How do you use scoot for vocabulary? I am looking forward to using this in my classroom for multiple subjects. Thank you for your resources. This reminds me of the chain letter activity. This is where the students would write everything they know on a topic in a letter format. After 2 minutes pass it to the next person for them to add their knowledge on the topic until several people have read each others sections and added to the letter. 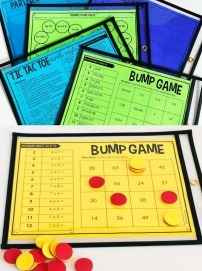 I am excited about using the “scoot” activity in math and science.